U.S. Treasury bond yields got a boost from the United States and Canada agreeing to a deal that would effectively rework the North American Free Trade Agreement and avert a trade war between the two economic superpowers. Benchmark U.S. debt like the 10-year Treasury rose to 3.074 and the 30-year yield ticked up to 3.224. In late August, the U.S. struck a deal with Mexico to effectively eliminate NAFTA and create the United States-Mexico Trade agreement–a deal that would likely move forward solely between the two countries if an agreement could not be reached with Canada. 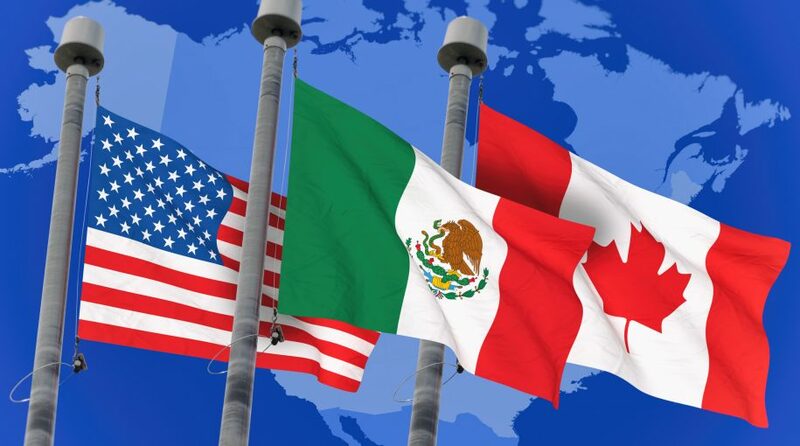 However, after continuing negotiations that extended past an initial August 31 deadline, the revamped NAFTA agreement, dubbed the “United States-Mexico-Canada Agreement (USMCA)”, was announced Monday. The USMCA agreement gave the U.S. increased access to Canadian markets for U.S. dairy producers. In turn, Canada obtained a key concession from U.S. negotiators to preserve a dispute resolution process. Furthermore, the USMCA agreement also includes key provisions with respect to the auto industry that encourages increased U.S. car production, while at the same time, protects Canadian and Mexican companies from the imposition of further U.S. tariffs by the Trump administration.